Οδηγός χιονοδρομικού για Veysonnaz-Printse, χάρτης περιοχής και διαμονή για Veysonnaz-Printse. Veysonnaz-Printze, in Switzerland, is a large resort with 10 lifts (2 cable cars, 8 téléskis) that offers skiers an incredible 2030 metres (6660 feet) of vertical descent. 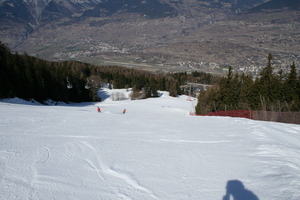 Veysonnaz-Printze has 10 pistes. Veysonnaz-Printze is best suited to intermediate skiers and snowboarders with some terrain for beginners but little of interest for advanced skiers. 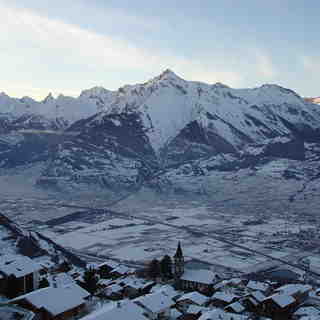 There are 5 kilometers (3 miles) of cross country ski trails at Veysonnaz-Printze. Over half of the pistes at Veysonnaz-Printze are covered by snow-making. 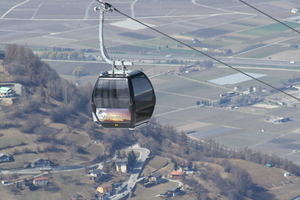 The nearest airport is at Geneva and the nearest train station to Veysonnaz-Printze is at Sion.